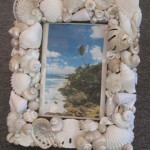 There’s nothing like a pretty seashell frame to hold a precious wedding photo from a beach wedding! 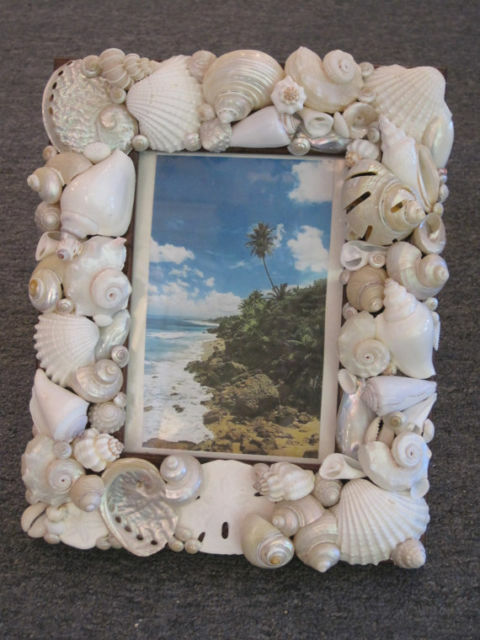 I used a dark wood frame and added lots of gorgeous white and polished shells from Indonesia, Thailand and the Philippines to create a stunning look! I used lots of white arks, sand dollars, abalones and other white and cream shells. The frame measures 10 1/2 X 8 1/2 with a 5 X 7 picture opening. This beautiful piece is perfect for any room in your home!